Fibre – are you eating enough? Most of us have probably been told at some point to switch to brown bread, to eat their crusts or to have a spoonful of bran a day. The science has shown for a long time that fibre is good for us, but new research has shown just how important it really is for our long-term health. Low carb diets may be a hot topic at the moment, but this research upholds the idea that a diet with plenty of healthy, wholegrain carbohydrates really does wonders for our health. Carbohydrates are a starchy food group that are our body’s main source of energy because they can be quickly digested and used. There are many different types of carbohydrates, but fibre is one particular type of carbohydrate that can’t be completely broken down by our body. While this may sound odd, this is actually what makes fibre so good for us. Not being broken down means that the fibre from our food helps things move on through our digestive tract (helping those number twos) and also helps the good bacteria in our gut. UK recommendations suggest that all adults should be aiming for 30g of fibre a day, which may seem a lot, but is easily achievable with a few swaps to your diet. How does fibre benefit our health? Because of all the benefits fibre has for our gut, it also has benefits for our overall health too. The new research released last week found that those who ate the most fibre had a 15-30% lower risk of dying from all causes and also specifically from heart conditions compared to those who ate the least. 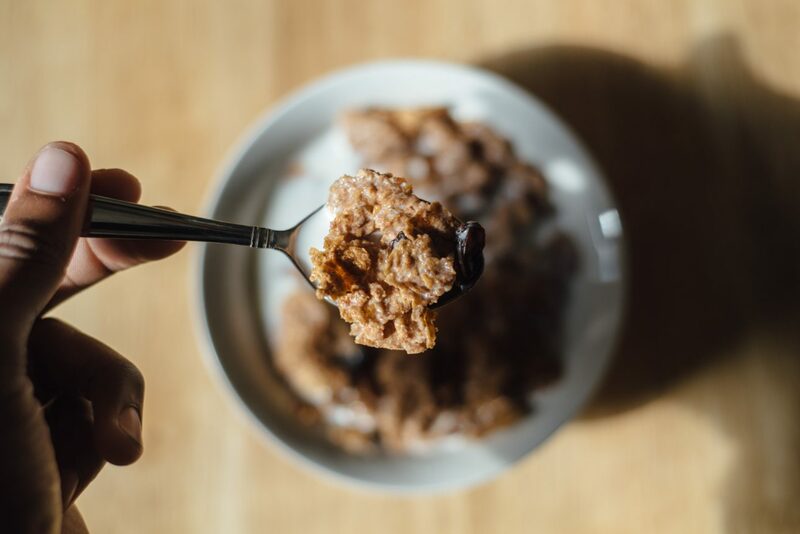 The study also found that those who ate the most fibre had a 16-24% lower risk of colorectal cancer, type 2 diabetes, stroke and heart disease. Eating a high fibre diet can also help weight loss as high fibre foods fill us up and keep us full for longer, which can help manage appetite and food intake. What foods should I eat to get fibre? What does 30g a day look like? This plan, from the British Nutrition Foundation, shows how easy it can be to get your 30g a day. With a few simple swaps to your diet, such as your breakfast cereal, fruit and veg intake and even how you cook your potatoes, you can hit your 30g a day and make steps to improve your health. Looking for some guidance on how to eat a healthy, balanced diet? Look no further! Sign up to a BeeZee Bodies group in your area to make small changes that make a big difference.